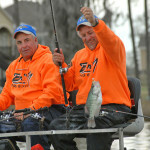 John’s Note: You can catch plenty of big slab crappie all year if you know where to fish for them and what baits to use. Then when your taste buds tingle for those tasty, just popped out of the oven or frying pan fillets of crappie, you won’t have to wait until the spring spawn to catch them. Let’s take a look at the kinds of places where you can find and take crappie throughout the year. 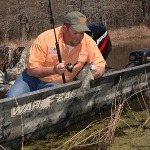 Whether you fish pre-spawn, spawn or post-spawn, you’ll regularly catch crappie while fishing brush piles in deep water. 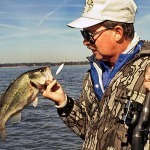 “I’ve found that brush piles on points leading into shallow bays and coves are the most productive for taking crappie prior to, during and after the crappie spawn,” Charlie Ingram, an avid crappie fisherman in Eufaula, Alabama, mentions. 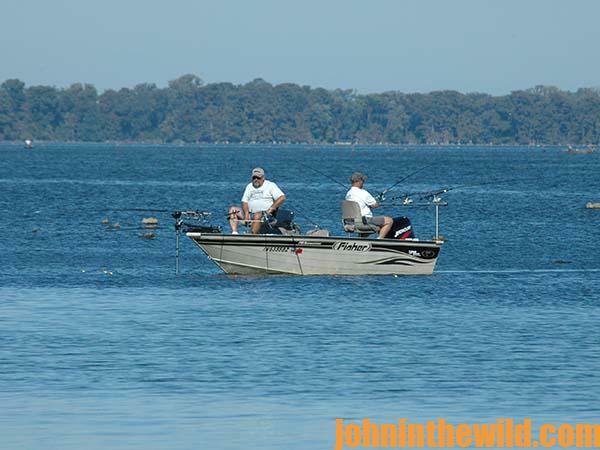 “The brush piles I fish are in 8 to 12 feet of water. I’ve learned that crappie will gang up on this brush before they move in to spawn. 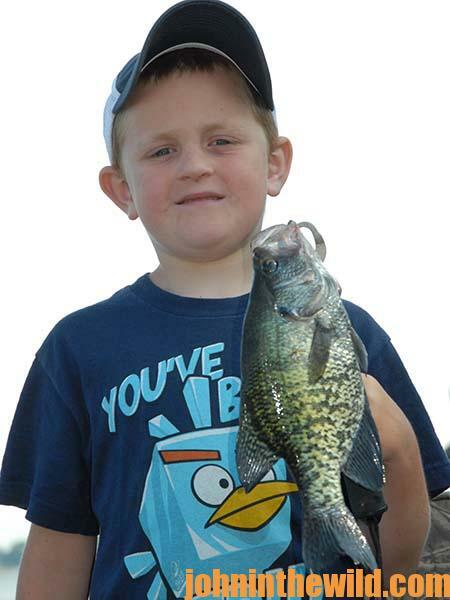 To catch crappie all year long, fish underwater brush piles, humps, river and creek ledges, deep points and ditches – structures you’ll find in deep water, often close to the river channel. Here are some of my all time favorite spots to catch crappie, regardless of the time of the year. * Bridge pilings on the edges of the main river or creek channels – Bridge pilings offer vertical relief on the edge of deep water and serve to break the current. 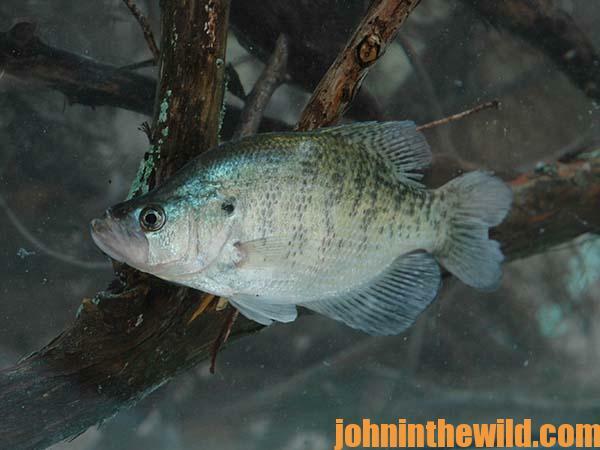 During the pre-spawn, crappie will hold near the bridge pilings, before they move-up to the shallow-water spawning areas. 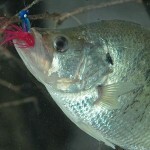 Also the crappie going to and coming from the spawning site during the spawn will hold on the bridge pilings. Too, before the crappie swim out to deep water in the post-spawn, they’ll hold on bridge pilings. You can catch crappie under the lights along these bridge pilings during the summer months, because the crappie move along the edge of the main channel and will come up to the lights. You’ll also locate crappie near these bridge pilings during the winter months, since these concrete pilings transfer heat from the sun to the water and offer a warm place for crappie to hold. *Underwater bridges – Bridges that once have crossed rivers and creeks before the impoundment of a lake often remain intact under the water. Crappie hold under these submerged bridges, especially the portion of the bridge closest to deep water, all year. * Brush piles on major creek channels and underwater points – Historically, these regions hold crappie throughout the year. 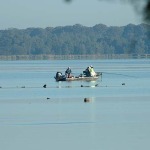 * Brush piles in deep water in front of lake dwellers’ piers – Individuals who buy lake-front property to build homes usually want to insure a good place to hold and catch crappie all year. Therefore they’ll sink brush in front of their docks and piers. 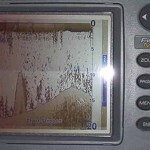 * Underwater points where an old creek channel runs into the main river channel – This intersection of these two deep-water channels often will home schooled-up crappie throughout the year. John Phillips, winner of the 2012 Homer Circle Fishing Award for outstanding fishing writer by the American Sportfishing Association (AMA) and the Professional Outdoor Media Association (POMA), the 2008 Crossbow Communicator of the year and the 2007 Legendary Communicator chosen for induction into the National Fresh Water Hall of Fame, is a freelance writer (over 6,000 magazine articles for about 100 magazines and several thousand newspaper columns published), magazine editor, photographer for print media as well as industry catalogues (over 25,000 photos published), lecturer, outdoor consultant, marketing consultant, book author and daily internet content provider with an overview of the outdoors.